No job is too big, no pup too small! Those are the words that Ryder tells them all. 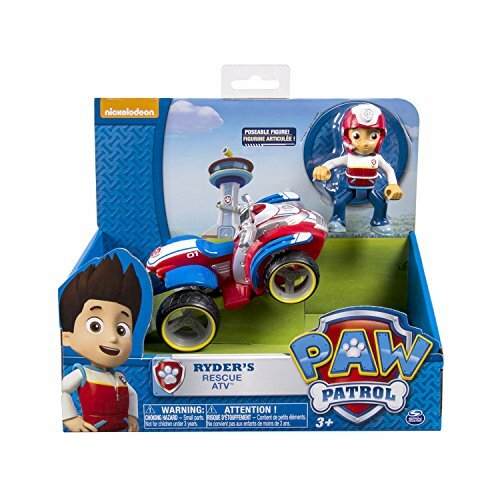 Ryder is the heroic leader, rescuer and teacher of the Paw Patrol. Hop on his Rescue ATV and get ready for the adventure of a lifetime! 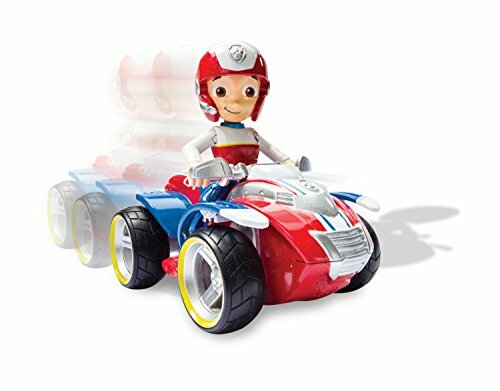 With real working wheels, Ryder can hop on his ATV and rip into action! His articulated arms let you pose him anyway you want. Go off-roading with Ryder and the Paw Patrol by collecting the entire line of Paw Patrol vehicles. Together, your child’s imagination will be lit up with pup inspired rescue missions full of friendship, teamwork and bravery. Choose from Chase, Marshall, Zuma, Skye, Rocky and Rubble. 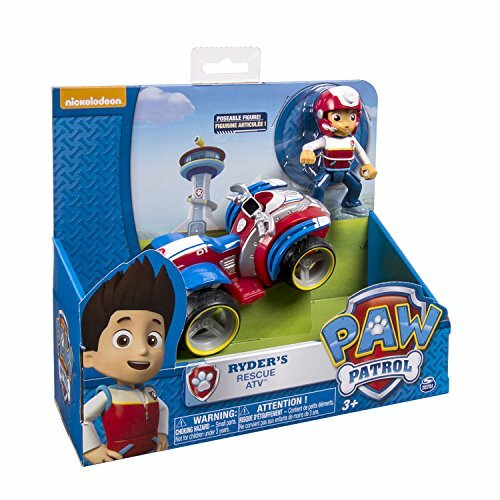 If danger is near just give a yelp, the Paw Patrol is here to help with Ryder’s Rescue ATV!It’s time to roll with Ryder on his Rescue ATV with real working wheels for push play action! 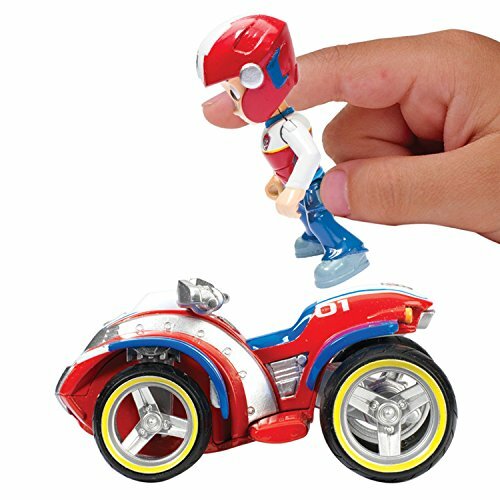 Ryder’s articulated arms let him remain poseable on and off of his Rescue ATV! Collect each lovable Paw Patrol character and work together as a team! Chase, Marshall, Zuma, Skye, Rocky and Rubble all have transforming vehicles! 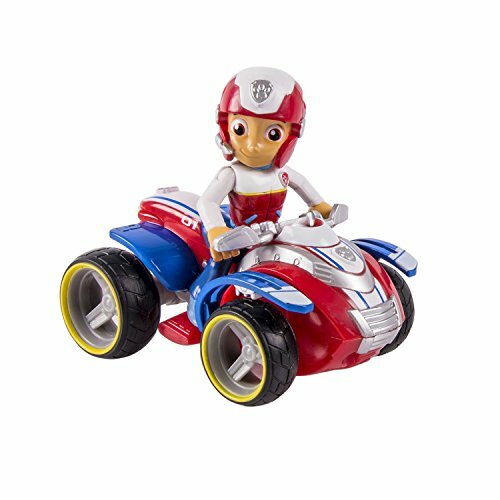 Paw Patrol Ryder’s Rescue ATV comes to the rescue of Paw Patrol fans ages 3+. With a unique blend of problem-solving skills, cool vehicles and lots of cute doggy humor, the PAW Patrol works together on high-stakes rescue missions to protect the Adventure Bay community! A series worth barking about!